What makes the Kenyan runners so superior? To seek an answer, English journalist and runner Adharanand Finn brought his family to Iten, the center of Kenya’s running culture. Six months of living and training with many of the runners brought him a unique level in insight into the factors behind their stunning success. 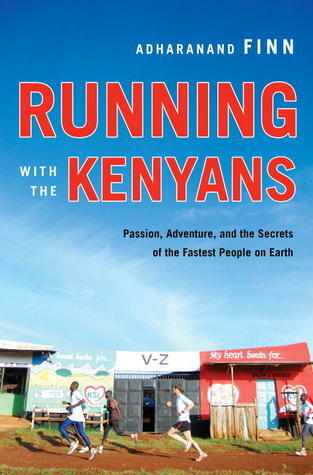 Join us for a fun discussion of his book Running with the Kenyans: Passion, Adventure, and the Secrets of the Fastest People on Earth – “equal parts cultural examination, cult-of-running treatise, and poignant memoir” (L. Jon Wertheim, senior editor, Sports Illustrated). We’ll also sample some ugali, the maize porridge that’s a staple of the Kenyan diet. A limited number of copies of the book will be available to pick up at the library. Registration is required for this program. As you read, learn more about the people, places and events! You may find inspiration to train for and run Patrick’s Downtown Race to Summer 5K on June 27!